In today’s age, business and popularity on the Internet depends much on what Google thinks of your website. 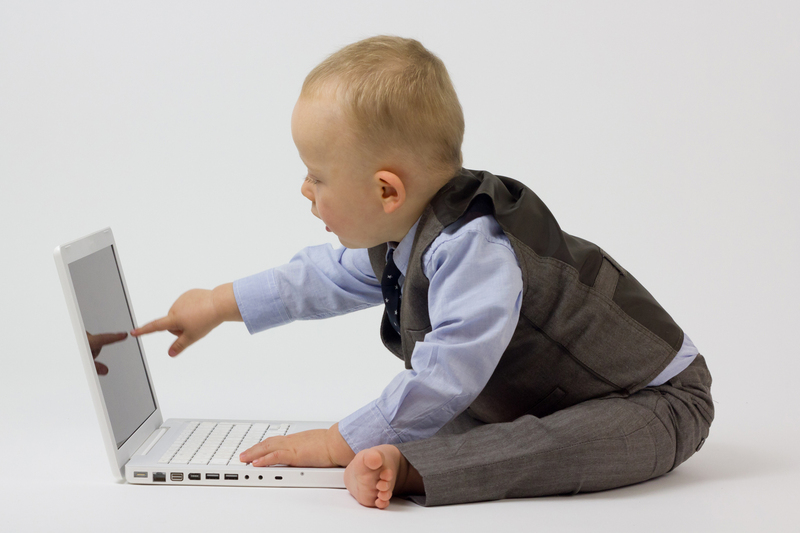 Being in the search engine’s good books has become the single biggest first step for online businesses. For legit people, it is great to know that the surest step to have an online presence is to target search engines. At the same time, for the blackhat people, it is great to know of the significant place to attack you. So we have folks who choose to attack a website to take down its organic standing in SERPs. Such targeted attacks do not come from mindless spammers. These are targeted and customized to bring down your domain’s good standing in the eyes of search engines and are personalized against YOU! It primarily comes from competitors as a form of corporate sabotage or from someone you may have rubbed the wrong way. Negative SEO comes in many forms, a major one being spam backlinks to your domain. Spam here does not just mean unsolicited, but it means the ones that contain ‘negative’ content, which users (and hence search engines) do not like any bit. Remember search engines are just hyper-vigilant end-users? So what is the recourse? 1. Most of the time, one can let Google take care of it. For more reassurance, watch Matt describe Google’s default actions against Negative SEO attempts. 2.2 In another extreme case, if it is getting impossible to keep listing hundreds of backlinks targeted at you, consider disavowing entire domain. Though use this option carefully because one may disallow search juice coming from a domain. For example, if your domain gets genuine backlinks from a forum but some miscreants start creating spammy backlinks, then disavowing the complete domain makes you lose the juice the domains was sending your way. Memorize these popular keyboard shortcuts to boost your productivity when authoring in Adobe FrameMaker. Print this PDF and pin it to your workstation to use as a ready reckoner. For specific keyboard shortcuts for Structured FM, use this desk pinup. For a complete list of FM shortcuts, see this official help article. This blog post is a compilation of videos showcasing the top accessibility fixes for PDF documents, using Adobe Acrobat. Aka How can I improve accessibility in the existing PDF files without re-creating those? Adobe Acrobat Professional comes in handy if you want to modify/update your existing PDF documents without re-generating it from the source files. While PDF documents are for consumption and are a final output without much scope for large-scale editing, Adobe Acrobat does allow you to do different types of edits, including but not limited to, editing text, editing images, manipulating backgrounds, manipulating watermarks, adding or modifying numbering, and so on. Another set of under-the-hood manipulations allow you to make your PDF documents accessible and help differently abled people consume the content. This also makes your PDF files more search engine friendly. In the blog post on my team’s blog, I posted my favorite top 5 fixes for PDF documents to boost their accessibility. Click on the image below to access the blog post. In this blog post I am compiling a few handpicked videos, shared by the fantastic Adobe Acrobat community, to showcase these top 5 enhancements. The following video is a very quick but silent one. Watch it if you only need to quickly find how to do OCR in Acrobat. The following video is one of the more detailed one out there, with a nice voice over. The below video, recorded a few years ago by Tim Plumer Jr., has fantastic lucid narration (hence slightly longer) that showcases OCR using an older version of Acrobat. Watch this video if you are new to the OCR concept. While the UI has changed, the concepts remain exactly the same. The following videos by Sally Cox, is a hidden gem. It describes in great detail where to find which properties and how to update open settings, metadata, and other Initial View. She also illustrates the change by showing before-after scenario. The 10 minutes are well spent, but view it with a mental state to learn. For a very quick look at how to update just the metadata of a PDF document, watch the following video. Watch the following video to get a very quick look at just how to add alt text to an image. The following video talks about enhancing the flow of content in a PDF file. The video describes the issue of lack of flow in detail–very lucid. The following videos shows tags in a PDF file and how to work with them. Image source is Wikimedia Commons public domain image. Below is a running list of tips and tricks for getting the most out of your Adobe Connect sessions. Hosts, presenters, and meeting attendees alike, can better their virtual meetings’, events’, and courses’ experience using these tips. Use the share buttons to help your network increases the mileage they get from Adobe Connect. For a smooth experience, connect using a wired Internet connection and close unnecessary VPN connections or proxies, WiFi hotspots, etc. When ending a meeting, you can customize the message that is displayed to the attendees. You can use basic HTML tags in this message to format it. This is specially useful, when you want to leave the participants with a follow up action item, key takeaway, or your contact information after a session. When ending a meeting, enter a URL in the Open This URL For Everyone field. It’ll open in the browsers of all the attendees, as soon as you end the meeting. You can direct participants to a resource page, your social media channel, a page seeking poll or feedback about the session, donation page, etc. To extend the functionality available in your Adobe Connect sessions you can create extensions or use the existing ones. See a list here. If you do not want to have a webcam feed in your meeting room, say to conserve bandwidth, upload a photograph in a Share pod so everyone can see you. If you wish to share some content across multiple meeting rooms, upload it to the Content Library and then share. Content added to a Share Pod is available only that particular meeting room. You can unsync you presentations or longer PDF files or quizzes to allow participants to absorb the contents independently, at their own pace. To get different chapters in the ‘TOC’ of your recording, use different layouts for logically different parts of your meeting. See the tip about renaming layouts. When you are not sure of your audio set up, say when using UV and telephony, do a test recording of a few seconds before the actual virtual session by logging in from multiple devices and using all possible scenarios like speaking into the microphone, using mobile devices, and from a telephone. Revisit the recording to check for echos and to ensure that all audio streams are present in the recording. To avoid ‘echo’ or feedback, request participants in advance to not use a speaker and a microphone adjacent to each other. For example, a computer speaker and a mobile phone’s microphone or a computer speaker and a headset mic. When the speaker will blare out audio, the mic will pick it up and you’ll have feedback in the meeting room. You can test your own set up by either joining as a participant from a second device or by recording a 10 second meeting and listening to the recording. Also, a host can create a Notes pod in a meeting room that contains just this request for the participants. When you add or remove items from a curriculum it impacts learner transcripts. If you really have to change curricula after enrolling learners, let your learners about the changes. Learners must log in to the curriculum to update their status. If you are creating e-learning content using Adobe products, know that Adobe Presenter is best suited for rapid e-learning content based on Microsoft PowerPoint and Adobe Captivate is best suited for creating training materials or screencasting demos. If a learner takes a course outside of a curriculum, ask the learner to log in to the curriculum once. The course completion status available in the curriculum is automatically updated. Share the tips and tricks that you use with the wider community–post a comment below or blog your tips and share a link below. Look at all those cool things you can do in Adobe Connect!!! We all engage online via web conferencing. We all collaborate online via virtual meetings. We all telecommute once in a while.And those amongst ourselves who use Adobe Connect to do so, are in good hands thanks to super-rich features and flexibility of the platform. Here’s a compilation of the cool things you can do and achieve when collaborating online using Adobe Connect. The embedded videos, links to documentation, and more resources will help you understand the feature and how to use it. Adobe Connect solution has a dazzling mobile client! It only helps that it is available for both, Android and iOS for free. Host meetings from any device and share screen, use advanced animations, supports audio conferencing from within Connect, video support in widescreen, start recordings, share content from Connect Content Library, personalization and branding, and so much more. Read more at the Connect Mobile page. Hosts can easily track engagement of various participants in meetings, events and other virtual sessions, in real-time. Use the Engagement Dashboard to view participants’ attention and interactivity levels. Gauging engagement levels help hosts and presenters to optimize their sessions further. You can monitor your event campaigns by using campaign IDs in the URLs. You can record your sessions for later viewing, edit those before sharing, download for offline use, and for conversion to MP4 that can be shared on various devices or uploaded online for mass sharing. For a comprehensive list of actions around Connect recordings, see this index in the official documentation. In Adobe Connect, you can create rich HTML pages for your online events and webinar. With an easy-to-use drag-and-drop interface of Adobe Experience Manager, you can create customized page templates. These include a landing page, speaker information page, registration page, and login page. Adobe Connect allows for various simplified ways for your participants to register and consume the online events and seminars you schedule. They can use their Facebook or Google+ social accounts to register and join events. Besides the out-of-the-box reports, people organizing or administering online events can generate custom reports. Titled user information report, this CSV report allows you to get your webinar data in any Learning Management System (LMS) or a lead generation system of your choice. See how to create rules to export user profile data from events in this help article. The latest Adobe Connect offering integrates well with your Adobe Experience Manager (AEM) setup to integrate your Connect webinars on your AEM webpages. The low-down on this integration is documented in AEM Webinars Integration with Adobe Connect. When multiple folks are attending using a webcam and a session has multiple camera feeds, you can view them in a Filmstrip mode. Read about it and about sharing webcam video in this article. The Filmstrip mode implementation in Adobe Connect allows participants to focus on the main speaker, while allowing hosts and presenters to control the overall experience. I hope the above helps you in understanding Adobe Connect or even in making a decision in favor of the platform. Let me know what is your tenth reason! Image courtesy dumfstar on Flickr. Between the time it takes to create a PDF file and publish it, you may end up earning yourself a bad name. One that lives on forever—in the form of a lame PDF document! While a bit more goes into creating a lean and mean PDF files, by following this blog post you can save yourselves some embarrassing content authoring, document production, and SEO mistakes. Many applications are supported by PDFMaker. Use the plugin to create a PDF document from a source file. As opposed to say, printing the source document to the PDF print driver or taking a screenshot and creating a PDF from clipboard. Using PDFMaker ensures that the metadata, the quality settings, and the privacy settings, as set by the document author, are respected and incorporated into the output. Some functionality is only available via this route, like creation of PDF bookmarks. Once you PDF document is created, press Ctrl+D (alternatively, click File > Properties) to access the Document Properties dialog. In the Description tab, mention the Title, Author, Subject, and Keywords. Many of these values are best set as the metadata in the source file. This helps ensure the PDF document contains these options every time a new PDF is generated. Using the settings in the Initial View tab, you may want to display the document title, instead of the PDF file name, in the title bar of the PDF. You may want to also display the bookmarks or other available options when the PDF opens. From the Initial View tab, you can control the magnification, first page to open, placement on the screen, etc. when the PDF is opened. You can also hide one or more of the menu bar, the tool bar, and the windows controls. Less common options you can set are add more meta information in the Custom tab and set printing mode (DuplexMode field) to ‘Duplex Flip Long Edge’ to save paper when your document is printed. In the Fonts tab, ensure the uncommon fonts used in the document are embedded. 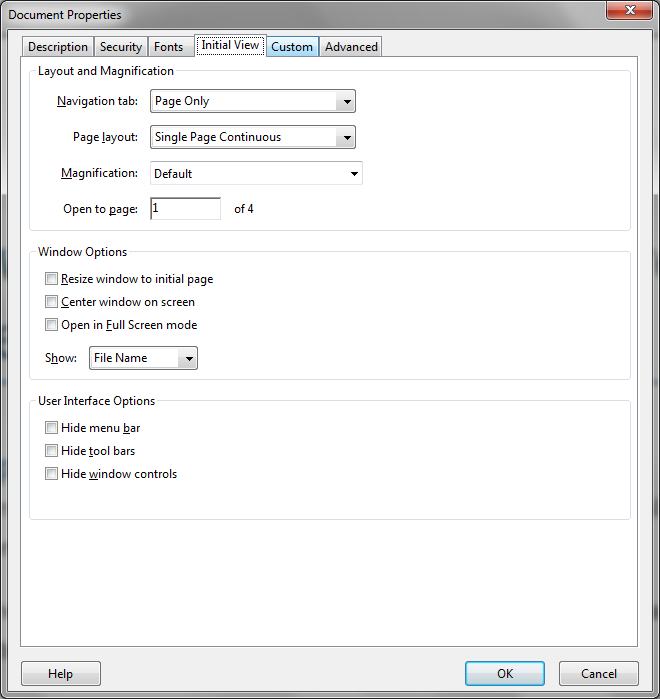 Avoid print and display errors during PDF consumption in different environments. than the one it was created in. Do check the end user license agreement of the font for any possible restrictions on embedding them in a PDF. Detailed official help is here. First, get bookmarks. 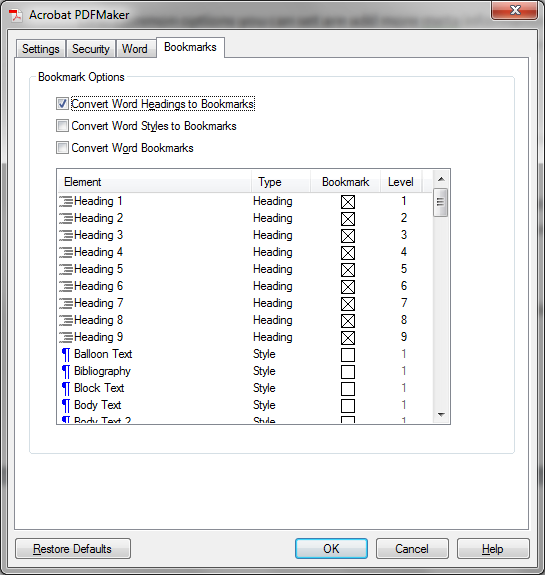 Use the optimum styles in your source document and use the settings in the Acrobat plugin to generate PDF bookmarks. Do not stop at this, else you may end up shipping a PDF document with bookmarks out of order. Decide whether you want only the Level 1 bookmarks to be expanded or even Level 2 (or Level 3) bookmarks expanded. 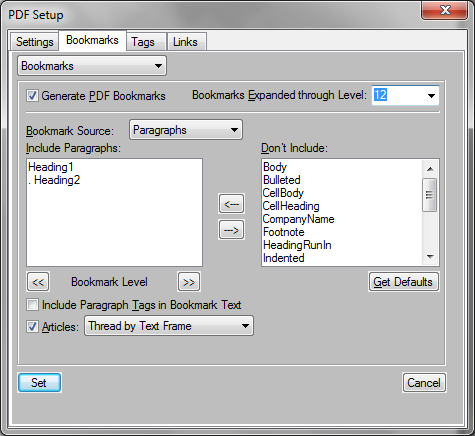 The software supported by PDFMaker, contain some settings to create bookmarks. Check my previous blog post, to collapse the PDF bookmarks and retain that state in the PDF. Run the accessibility check on your PDF and check for, at least, the obvious things that you can fix. For example, mention the alt text of the images, create a tagged PDF, OCR the scanned content, and so on. 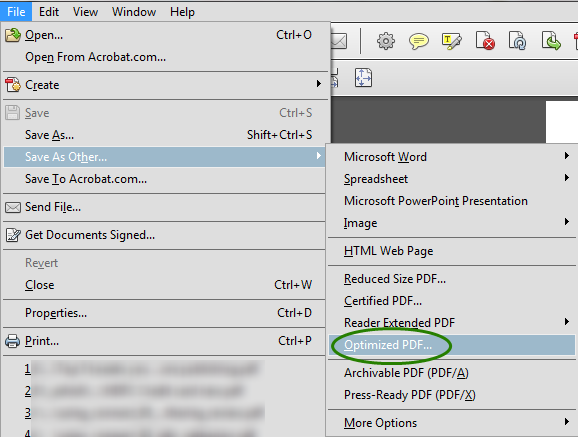 You can quickly do an accessibility audit of your PDF document using the Full Check option from the above screenshot. Accessibility Checker runs a customizable check for up to 32 parameters. You may want to optimize your PDF depending on the use case and target audience. Some common optimizations are to reduce the file size to conserve bandwidth, to flatten the form fields, to remove common fonts to reduce file size, to add uncommon fonts for a smooth experience, enable Fast Web View for byte-serving of large documents, and so on. Learn all about optimizing PDF files here and in the video below. I am sharing the desk pinup that I use to refer to the keyboard shortcuts for authoring in structured FrameMaker. This PDF is print-ready for A4 printers. If you wish to include modify the listed shortcuts, use this spreadsheet to edit and then print. The above file contains a small subset of all the supported shortcuts and includes the shortcuts for the commands I use frequently. I suppose a good number of these commands are popular with other users. Just print it and stick to your desk, to quickly refer to and learn the popular shortcuts. For shortcuts of broader tasks, including unstructured FM, see my other post titled Desk pinup mind map of the popular FrameMaker keyboard shortcuts.